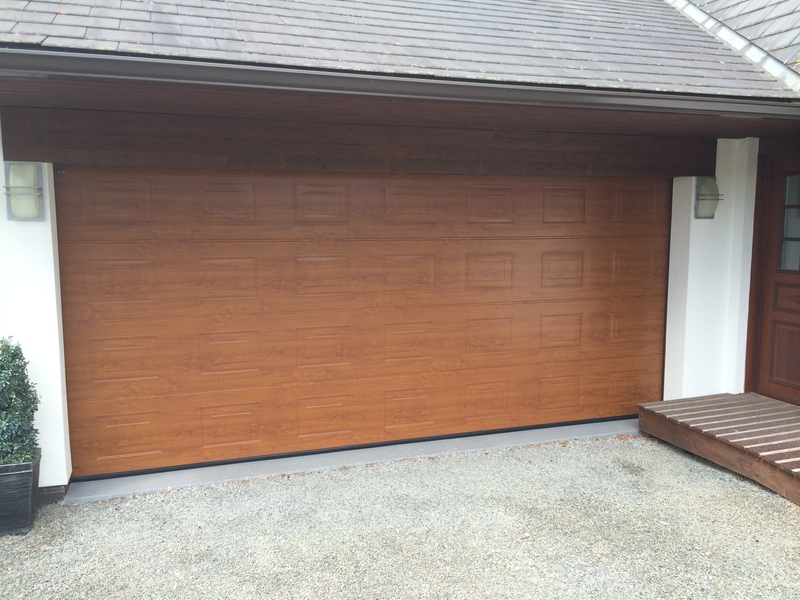 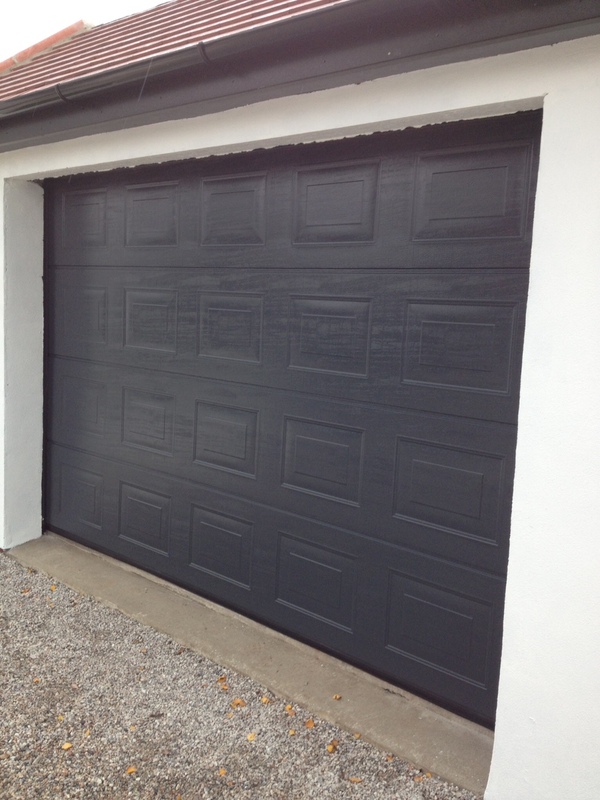 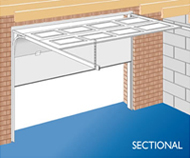 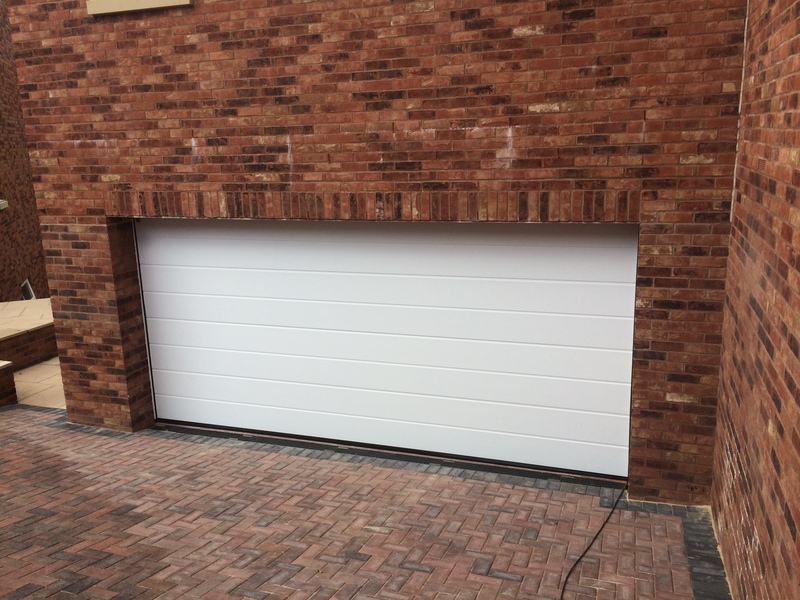 Quite a masterpiece in engineering the sectional garage door offers probably the highest levels of sealing, insulation (insulated double skinned only doors), security and style of any garage door. 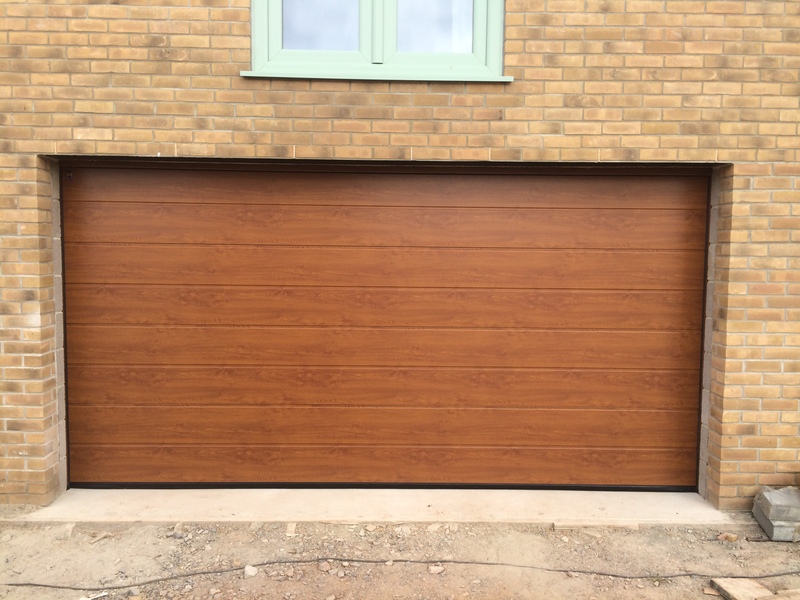 The sizes are almost limitless as are the painted colour options and there are so many variations in glazing, design elements, gear options and surface finishes you should be able to find the perfect complement to your house style. 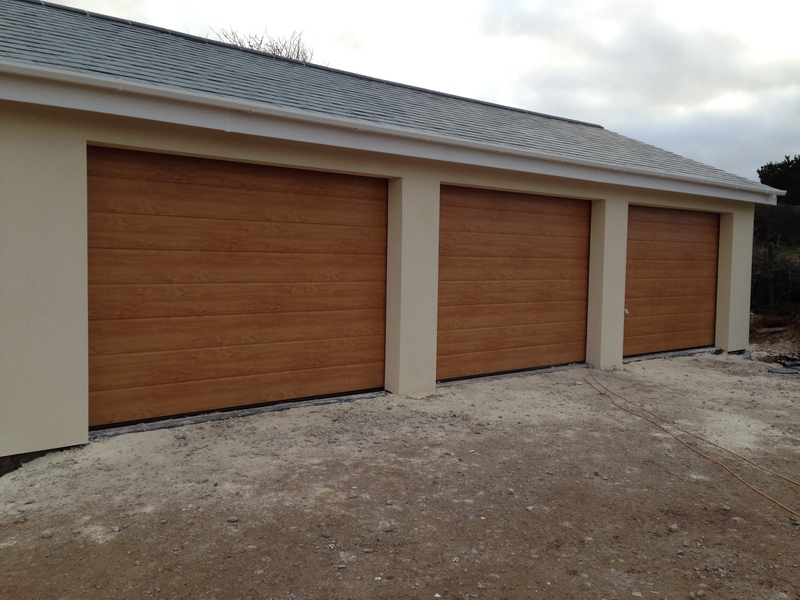 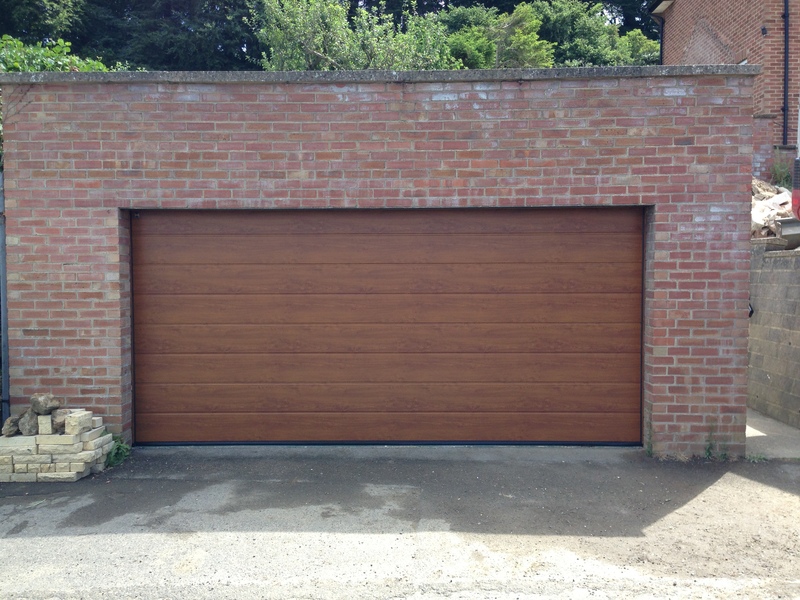 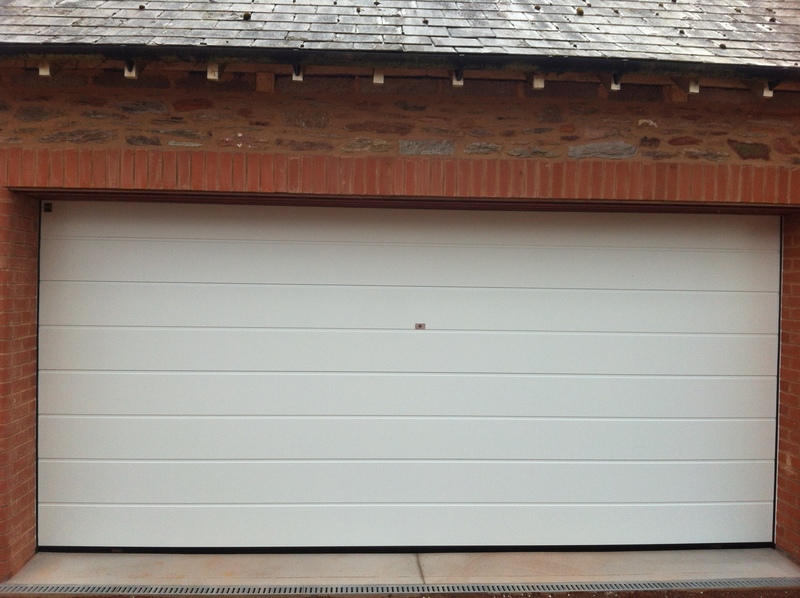 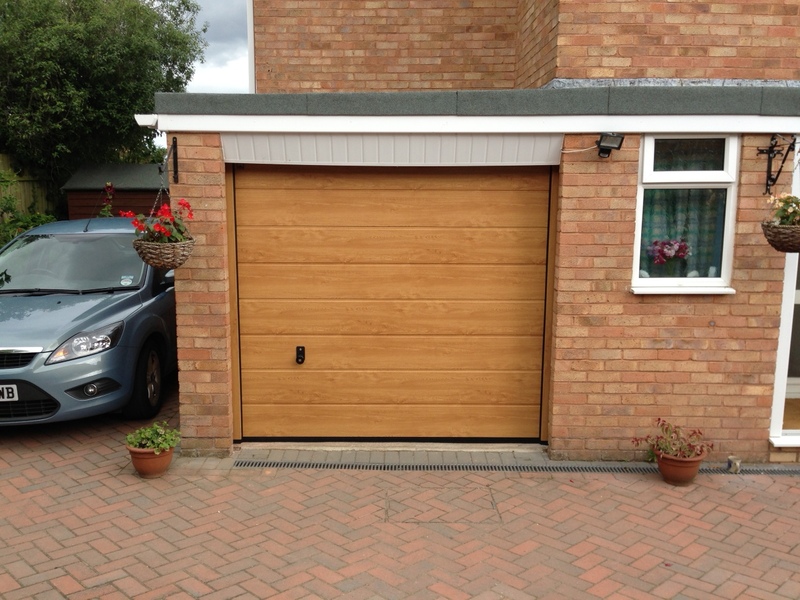 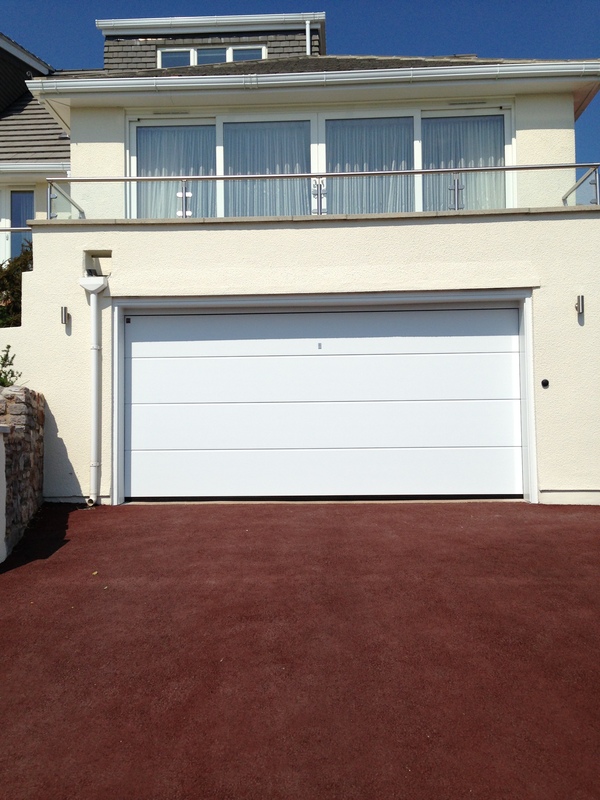 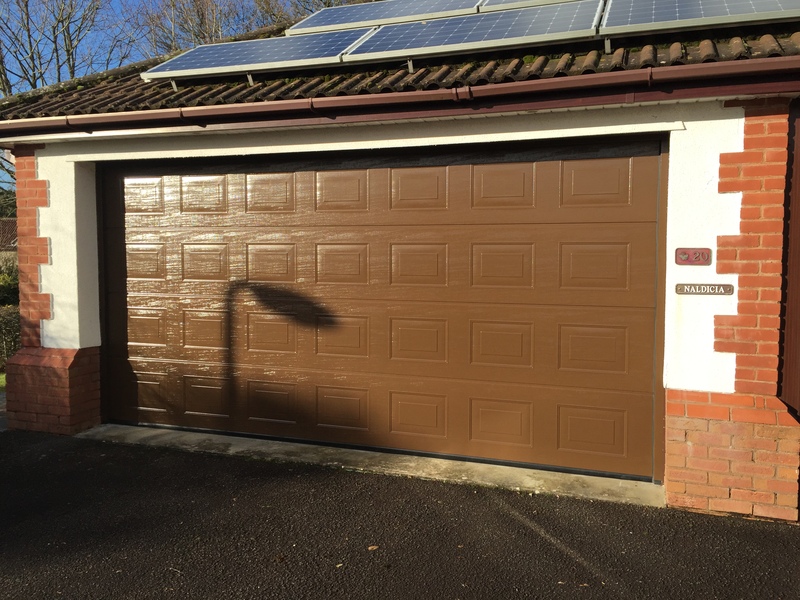 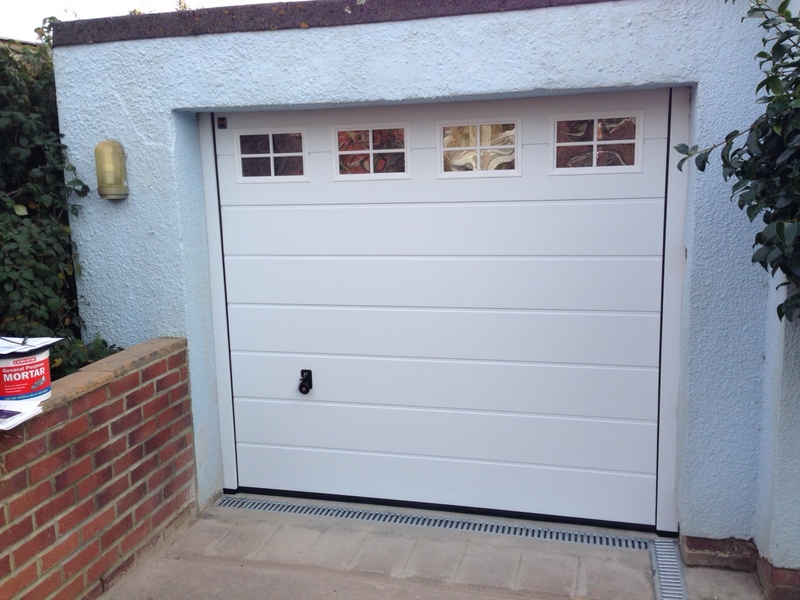 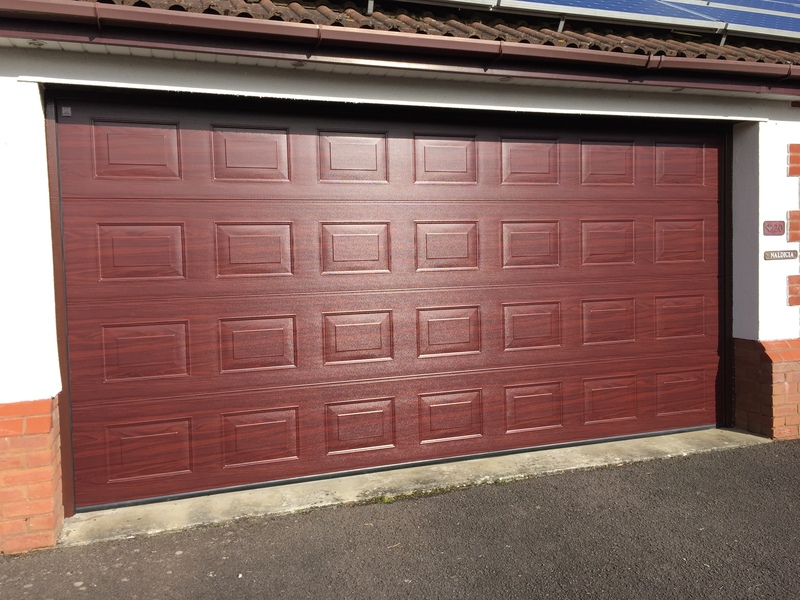 The sectional door opens and closes in a vertical action which also makes them perfect for short driveways or even short internal garages as you can park right next to the door and still operate it unlike the up and over door which swings out and in when opening. 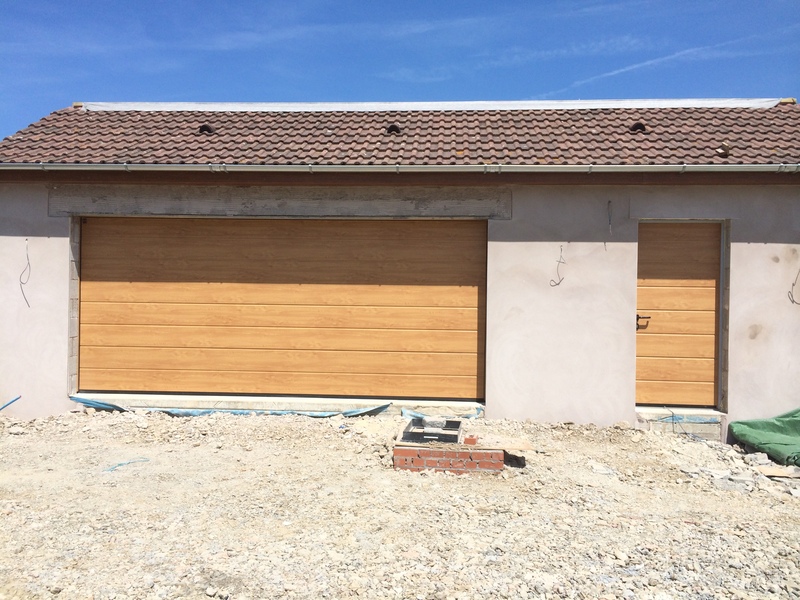 Sectional doors are available in steel, timber and GRP but the majority sold are steel as the colour and design variations are numerous and in the double skinned panel versions they will offer the best of everything. 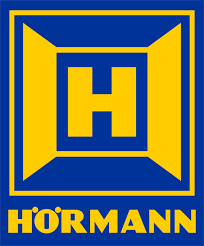 There are many sectional door manufacturers but by far the best manufacturer is Hormann (and there sister company Garador) they offer a very extensive range of door sizes, window designs and colours including woodgrain effect doors.